In LEAP! 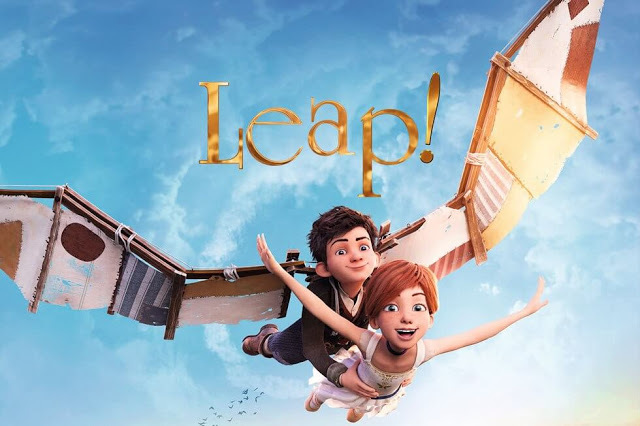 11-year-old orphan, Félicie has one dream – to go to Paris and become a dancer. Her best friend Victor, an imaginative but exhausting boy with a passion for creating, has a dream of his own - to become a famous inventor. The two friends flee their orphanage in pursuit of their passions. But Félicie quickly learns that talent alone is not enough, but determined to succeed, Félicie finds her mentor in the tough and mysterious school custodian, Odette who, along with Victor’s encouraging friendship, help her reach for the stars. Make sure to get your tickets early, I know I will! My daughter and I watched this movie and she LOVED it. She was twirling and leaping after. Lol It was great. I havent seen this yet. It looks like a cute movie. I am really loving the chanracters in it.